When I was younger, I was a horrible picky eater. My parents had a dreaded one bite rule where I would have to try everything on my plate even if that meant not eating it all. Most vegetables were horrible. They were bitter to me and I couldn’t stand them. However sweet vegetables were the few I would consistently eat. Give me a bag of carrots and I chomp down on those. However put green beans in front of me and I’d rather starve. And while I’m less of a picky eater now, some foods like carrots still remain favorites. 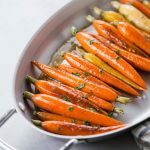 I decided to make my roasted carrots a bit fancier recently by making a Maple Glazed Roasted Carrots recipe. Preheat your oven to a high temp, either 400 or 425 degrees. 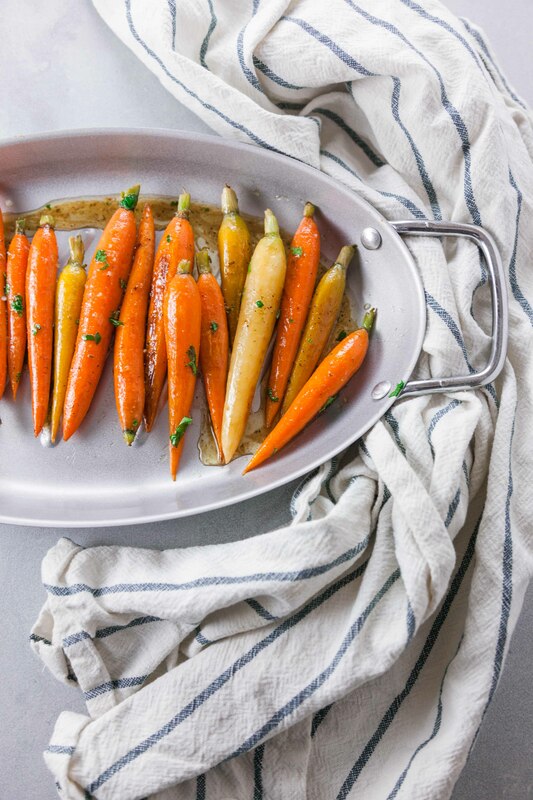 Spread your vegetable of choice on a baking sheet. Drizzle with vegetable oil, salt and pepper, then toss to coat. Roast for 10 minutes, then use a spatula to flip. Roast for another 10 minutes before removing from the oven. Some vegetables may need to cook a bit longer depending on how thick they are cut. The vegetables should be browned and softened. I usually avoid olive oil and sugars when roasting because they will burn easily at such a high heat. I love roasting vegetables because it naturally sweetens them and it provides a different texture. There’s also the added plus of having little mess to clean up. When I roast vegetables, I line my baking sheet with aluminum foil, which makes cleanup a lot faster. If you are worried about the vegetables sticking, spray a bit of canola oil on the aluminum before roasting and the vegetables should not stick. 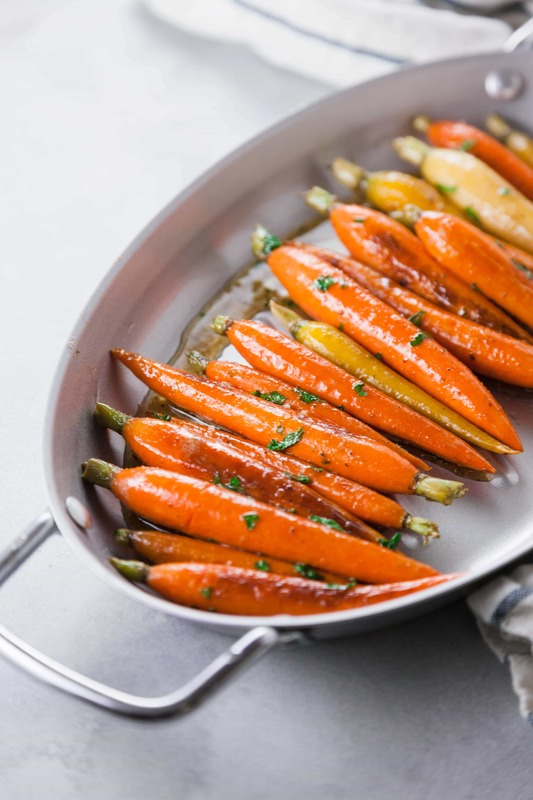 To glaze the carrots, I melted butter in a sauté pan and stirred in the maple syrup. I then added the carrots and tossed to coat until they had butter coating the entire carrot. 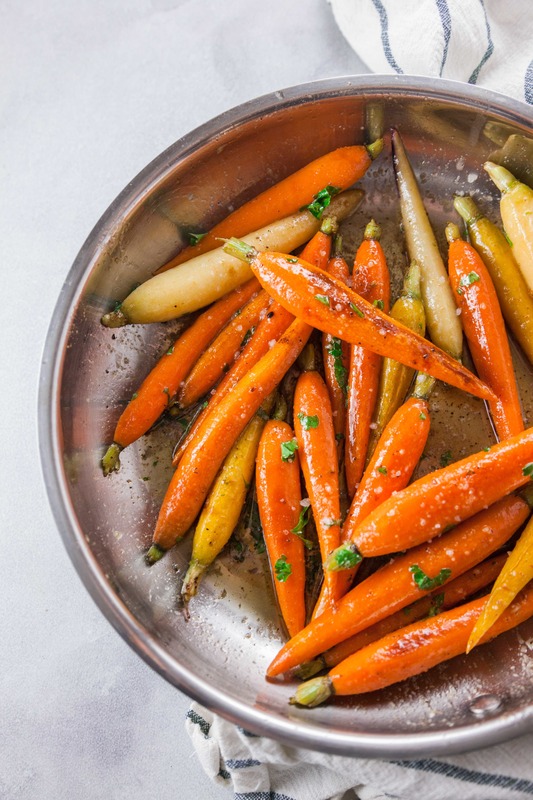 If you don’t like maple syrup, you can use this same process with honey or balsamic to coat your carrots. Either way, this recipe will be delicious. Sometimes you need to make a generic food amazing by making it fancy. 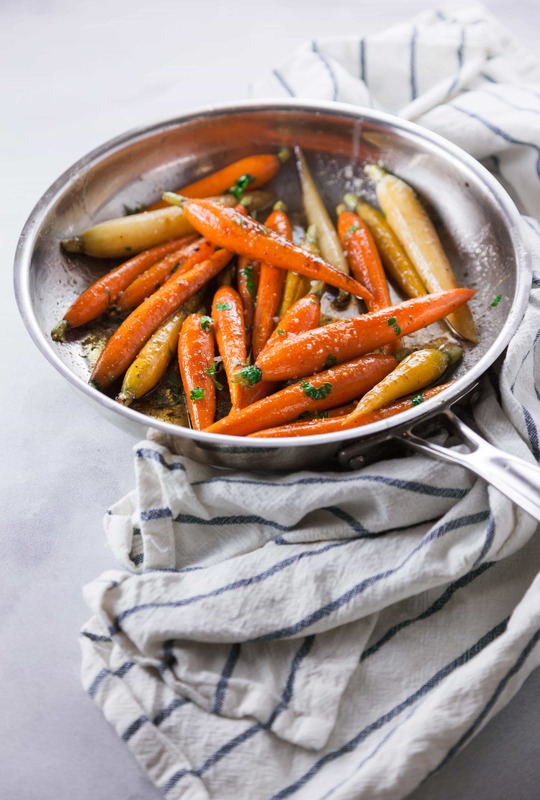 These Maple Glazed Roasted Carrots are just that and delicious! Preheat oven to 400 degrees. 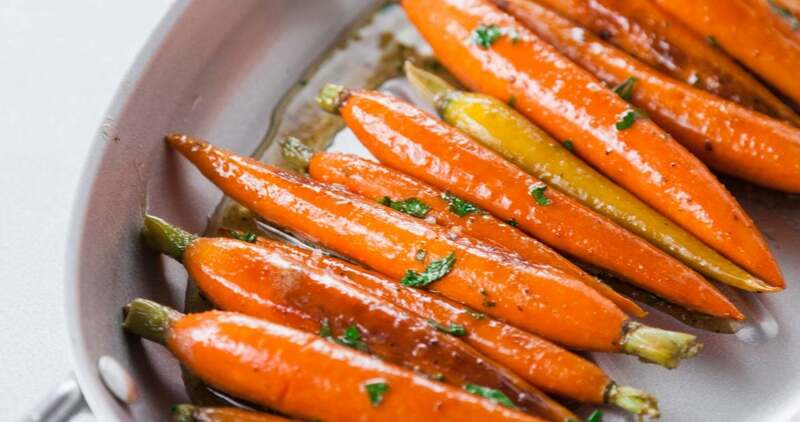 Place carrots on a baking sheet and drizzle with vegetable oil. Season generously with salt and pepper, then toss to coat. Roast for 20 minutes, flipping once. Melt butter in a sauté pan, then add maple syrup. Heat until just starting to bubble. Add carrots and toss to coat. Serve and enjoy!